I have a love hate relationship with pastry- when it’s great it’s great, and when it’s wrong it’s very very wrong. On the list for some time has been rough puff pastry. I’ve made croissants before and understand the similar process to make puff pastry, but when you can buy it so easily from the shops the time and effort really doesn’t quite seem worth it? But rough puff pastry looked and sounded so much easier so it was just a matter of time until I tried it- like last weekend. Rough puff pastry needed far less attention than regular puff pastry- ended up being super simple to do, especially since I ignored the first step and used the food processor instead. 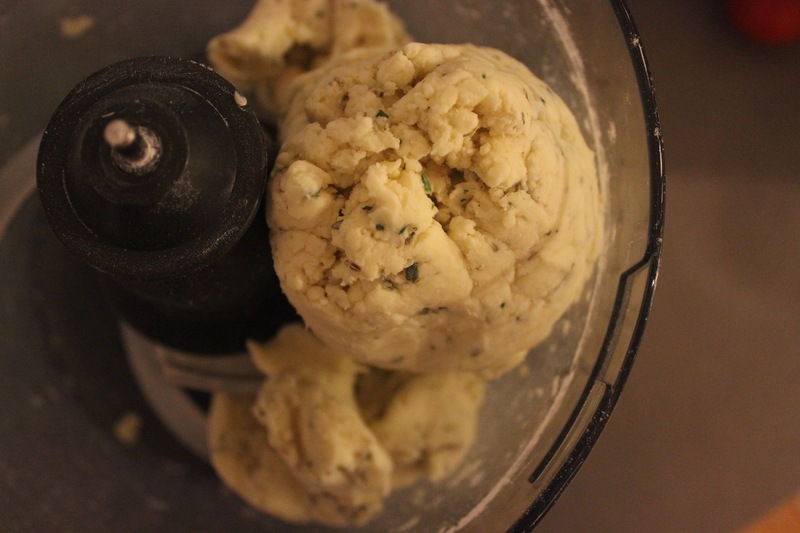 This recipe also included thyme and Parmesan in the dough- and it wanted you to rub the butter into the flour with the parmesan and thyme on the bench with a pastry cutter and then incorporate the water into the dough- meh I decided to skip that step and use the food processor instead! Then off to the fridge to rest and chill. 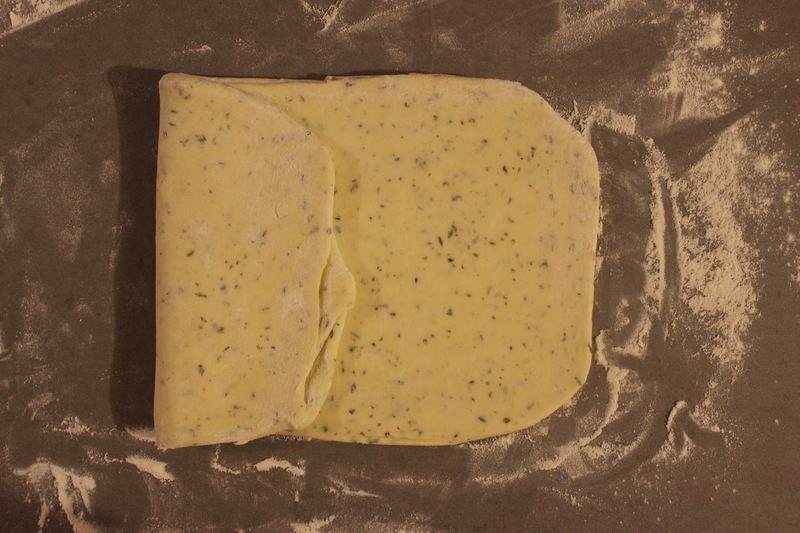 Once chilled you needed to roll out the pastry into a rectangle about 0.5cm thick- the dough rolled out really easily (all that glorious butter!) but you just had to make sure that the bench was nicely floured. Repeat for the other side..
Chill in the fridge and then repeat an other two times- this is something than you can do well in advance and it will sit quite happily in the fridge until you’re ready. 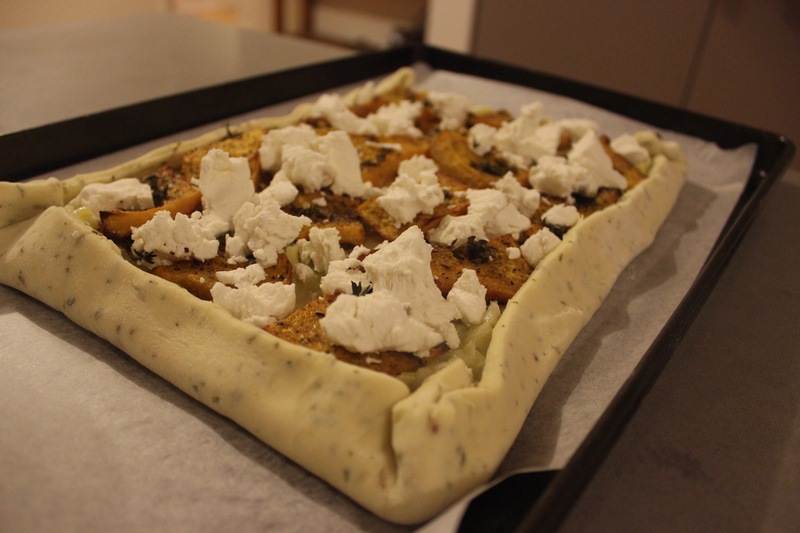 For this particular recipe you just needed to roll out into a large rectangle, cover with leeks cooked in white wine, then top with roasted pumpkin, goats cheese and sprinkle with thyme- fold over the edges and then tuck it away in the oven until golden, puffed and smelling delicious. 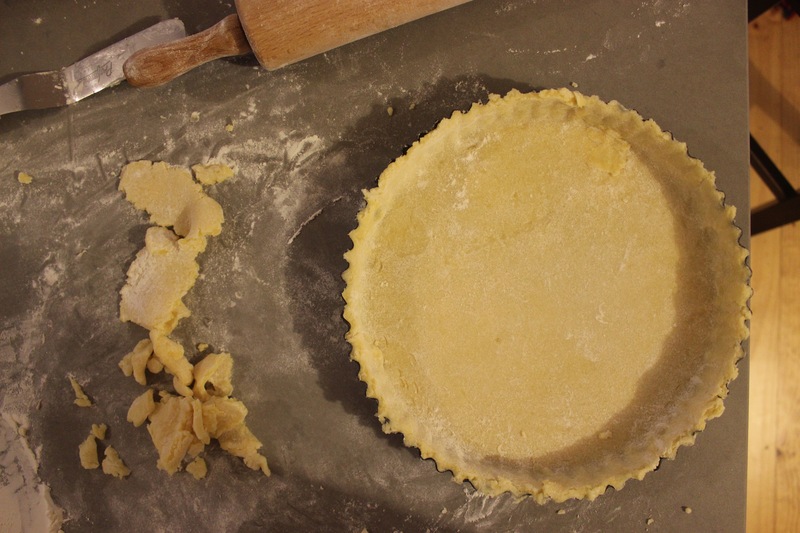 The pastry may not look exciting at this stage but when you pull it out you can see the lovely layers in the pastry and it’s super flakey – considering it really took no effort at all this feels like a fool proof pastry method! This even heated up really well the next day- took it out of the fridge about an hour before to take the chill off and then popped it in the sandwich press with the top just hovering over the topping- still, crisp, still flakey and still delicious. So pastry- we’re still on good terms at the moment- I think trying rough puff pastry again I’ll seek out a sausage roll recipe- perfect for the cold weather heading our way. Try it- really easy and it feels like you put in way more effort than you actually did! It’s about bloody time I finally did a tart justice- -I wanted pastry perfection- well at least something close to that. 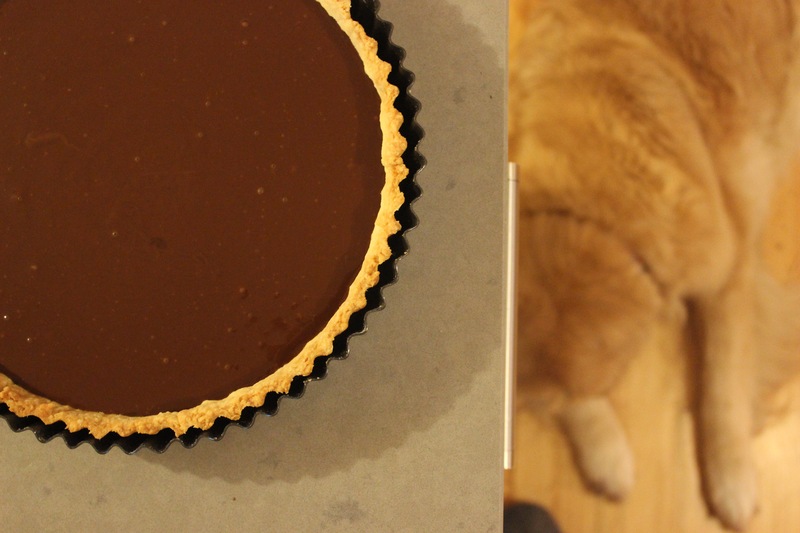 A few weeks ago I was flicking thought my gourmet traveller magazine and landed on a delightful chocolate ganache tart recipe- making tasty yummy noises out loud Monkey asked me what I was looking at. After relaying what it was and seeing his reaction I promised him I’d make it for him over Easter. 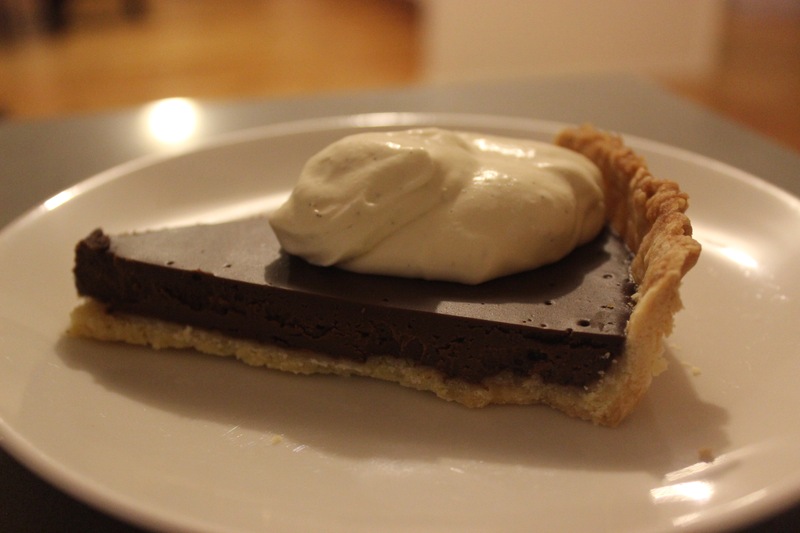 So not worried about the ganache filling (it’s all patience) but I wasn’t so sure about nailing the tart- short crust pastry to be exact. My previous experience with pastry shells have been mixed- shrinking pastry, cracked pastry, undercooked and leaking pastry, overcooked pastry making for a tough eating experience etc etc so whist excited about the choclately goodness that lay ahead I had some mixed emotions about what this goodness would be encased in. Then it was just a matter of mixing in the beaten egg and bringing the dough together- and guess what? It came together easily and beautifully- winning so far. 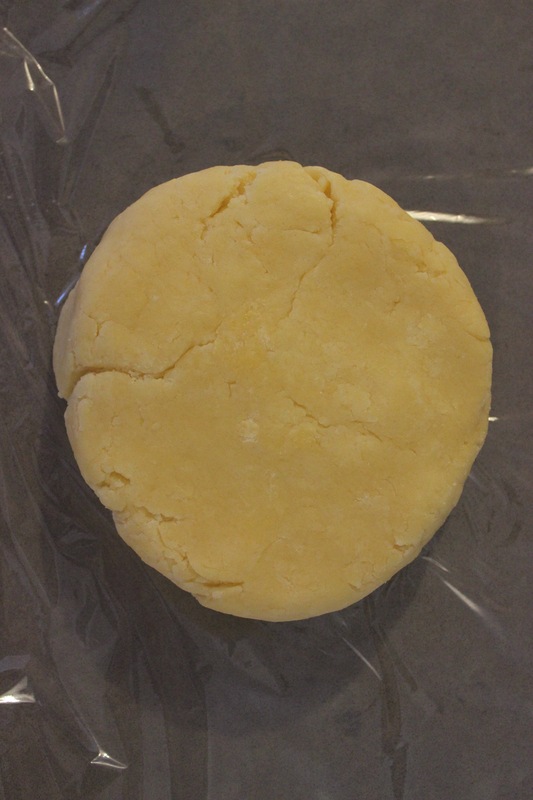 Then press into a disc shape (makes for easier rolling out into a circle shape) and then into the fridge to relax and chill. Sufficiently chilled I started to roll out the dough… yeah that wasn’t a great start. Roll roll roll flip. 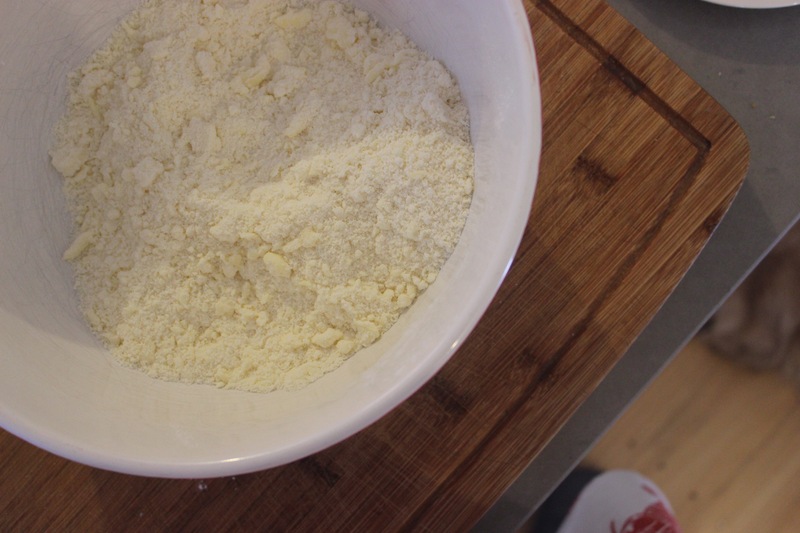 Dust with flour… flip again….. then the edges started cracking and swear words began to emerge. 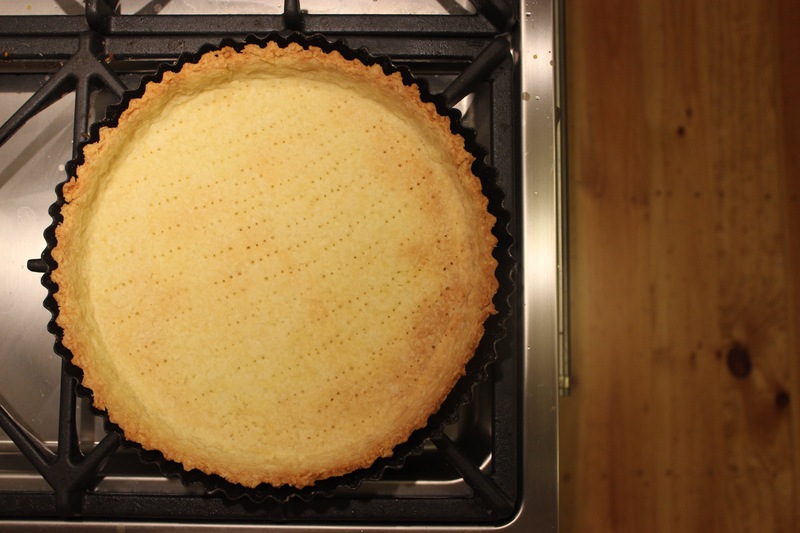 I stopped and took a breath and gathered up the cracks, mended them and rolled out a little slower- the cracks still kept bloody coming but I persevered until the dough was wide enough for the tart tin. 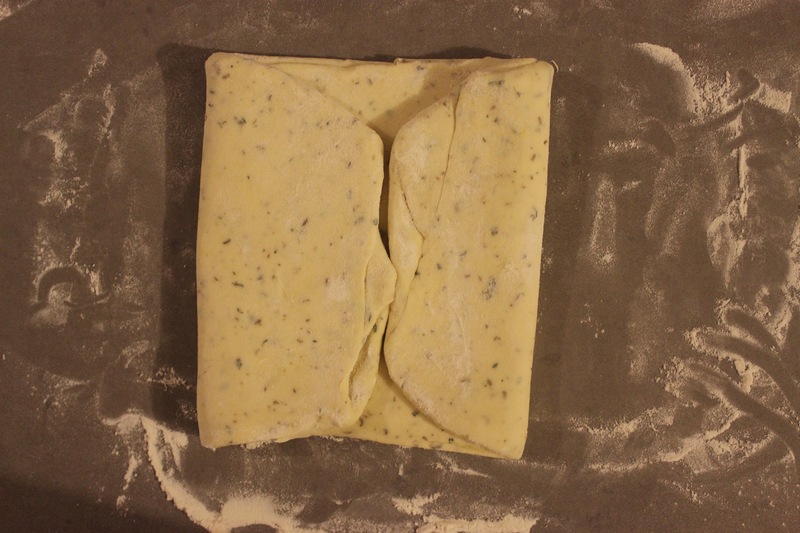 Next challenge- despite my flipping and flouring the dough it was a little delicate to pick up and place in the tin…. How to overcome? Listen to every single pastry recipe (that I had never listened to) and roll the dough up over the rolling pin and roll back out over the tart tin- worked like a bloody charm!!!! Doing that trick again! Press into the corners of the tin, smooth out the dough, trim the edges (not too much) and then prick the base with a fork. The recipe said to chill for about 30 minutes but because I had other stuff happening i the kitchen I left it for an hour or two- given the butter content in the dough this well and truly set which is why I think it didn’t shrink too much. Winning! Because it was a liquidy filling it needed to be blind baked beforehand. 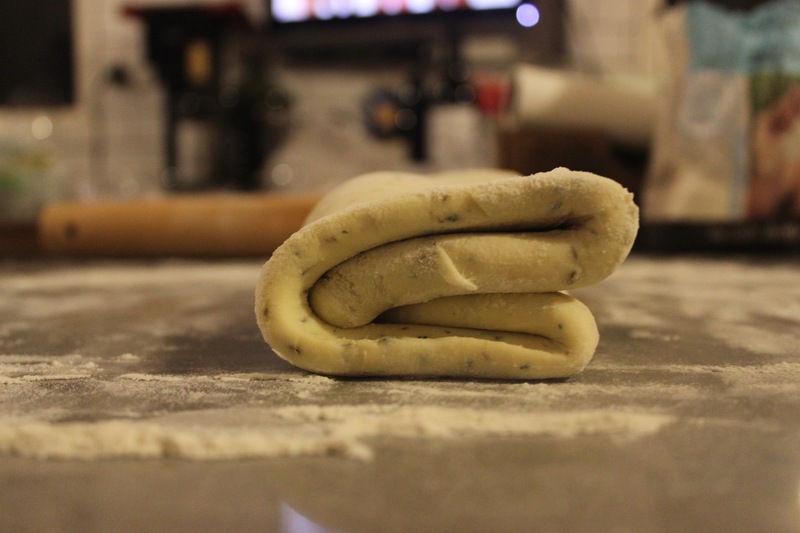 Blind baking involves popping a lining over the top of the dough and weighting it down and baking for a while- then removing all of that and baking it au naturele for a little longer until lightly golden. 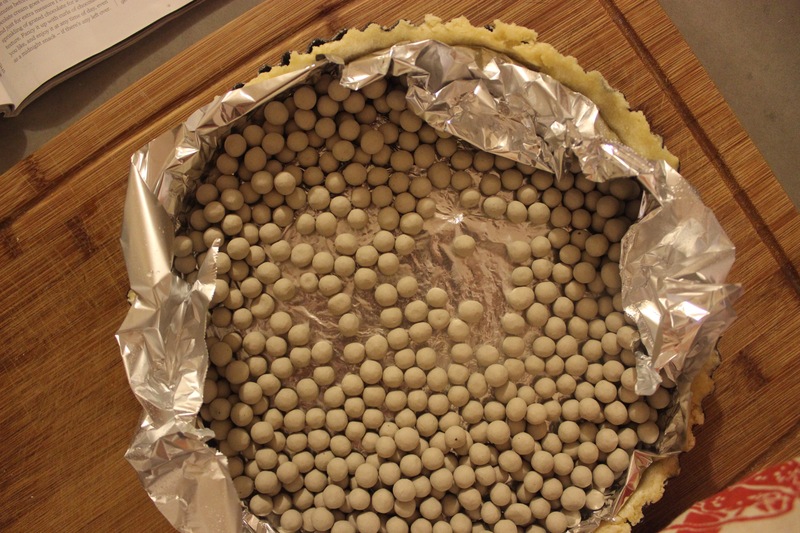 This leaves you with a tart case that will stop liquid seeping through the crust while the filling sets. Isn’t it pretty? This was then filled with a chocolate ganache mixture and baked until just set- with preferably a slight wobble in the middle. As a side topper white chocolate was melted and then mixed with cream and then whipped- a whole new world opened up to me tasting this- so bloody good I forgot how nice white choclate could be. What was the end result? 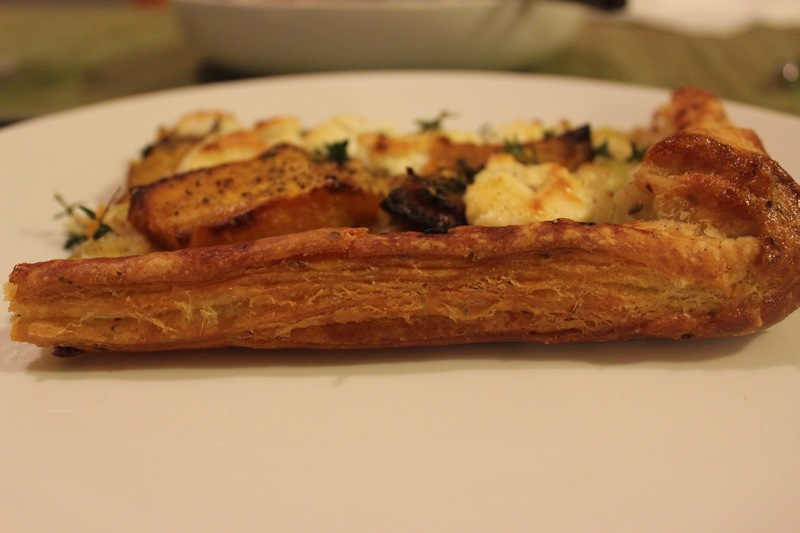 Nice short crisp pastry (it stayed intact and didn’t shatter when sliced!) 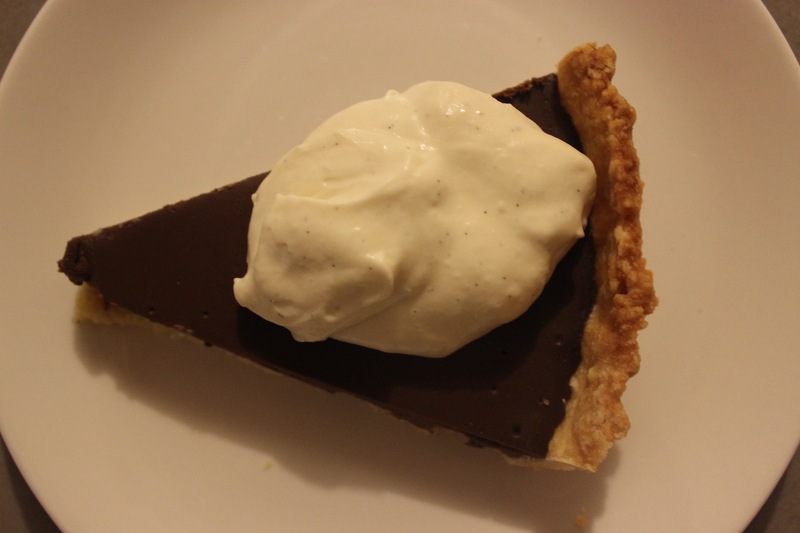 with a delightfully cool soft chocolates ganache centre- I bloody well nailed a tart for once! So why did this one not fail??? This pastry recipe measured everything in grams- even the eggs. This meant precision and to be honest with baking you need to be precise. Secondly I think doing the pastry by hand meant it wasn’t overworked and therefore tough. Lastly I think the long spell of the pastry in the tin in the fridge meant it was properly chilled which meant less shrinkage in pan which meant more room for the filling and less chance of spillage. Pastry can be a fickle beast so if you’re looking for something that you’ve not tried to make before maybe try a cake… just not a sponge. But do try your hand at tarts- they really are something else. Like anything it can take a few goes and a few lessons to be learnt along the way. End result? Always delicious tart in one form or another! ok forgive me please- i’m quite a fan of dad jokes. And besides which this is actually a crayfish not a lobster- we don’t really have lobsters in Australia- well apart from Rock lobsters which I had the pleasure of eating on Christmas Eve but there wasn’t really a market on google for crayfish dad jokes. I’ve wanted to make these for a while and New Years seemed like no better time than any (well at least to indulge in crayfish) to make and share with friends. The recipe isn’t any great secret, a quick google search will find it for you such as here but I used my Broadsheet Melbourne cookbook. Essentially its a brioche roll toasted with butter, layered with flavoured kewpie mayonnaise (i love kewpie- have a jumbo bottle in the fridge), topped with chopped cray/lobster meat, then bigger pieces of meat, more mayo, then picked watercress and finely sliced shallots- eat and enjoy- goes great with some bubbles. I’ve found that Safeway/Woolworths (whatever it’s called these days) actually sells some pretty good brioche rolls but I wanted to give it a go making my own- I had made semi brioche buns a few months ago that turned out well so I googled around and ended up using this recipe from trusty old Gourmet Traveller. If you don’t have a stand mixer I’d probably steer well clear of making your own- the mixture is quite sticky and wet but best of luck to you if you want to give it a go by hand! The proving time wasn’t nearly a long as advised because it was quite a warm day and to be honest I was super pleased with how they turned out despite the quick rise. Even though I only really needed six I made the full amount anyway just in case I messed up the baking of the first lot, off the top of my head I think that I ended up making about 14 with some extra dough to spare. If I made these rolls again for this particular recipe I’d probably reduce the weight from 70gm per roll down to 60gm per roll and flattening slightly before their second prove. And that glorious lobster? Well because I purchased it already cut and cleaned I just had to get the meat out of the shell- tail meat pulls out really easily and you will probably get it out in one piece- but don’t forget about the lovely leg meat! I have the crackers and meat picky things which helped me crack the legs and pull out the meat – it’s not essential though- even a hammer or a heavy pot will do the trick in getting the shell to give way. Would I make them again? Yeah I think I would even subbing in prawns, marron or whatever other nice shellfish you have on hand I think would be great. These little babies sell fo $16 each at Supernormal so despite the crayfish not really being an everyday food it works out a little more economical to make at home! I will follow up with a burger post at another stage- because I really want to give the shake shack (or is it in and out?) 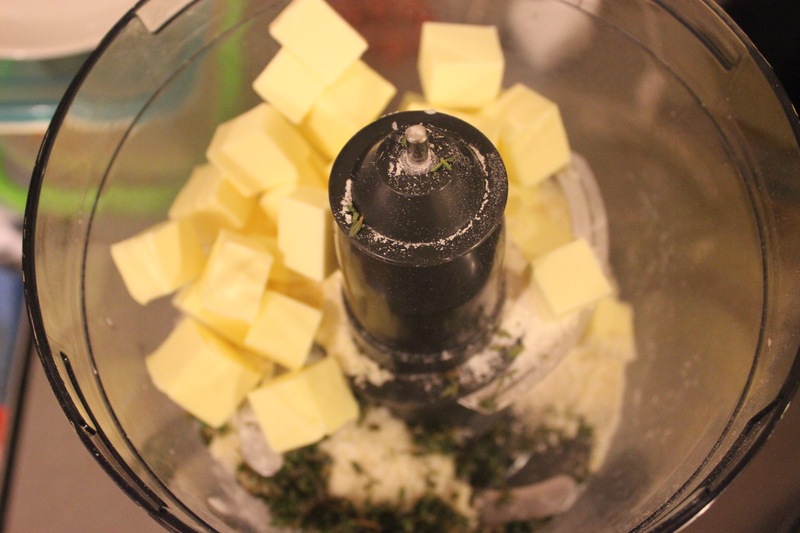 mix of brisket to sirloin patty mix a go…. Have you eaten at supernormal? what were your thoughts? Or have you made brioche before? was it buns or in a loaf? I’d love to do a loaf because I think the leftovers would make spectacular french toast. Posted on January 3, 2017 January 3, 2017 Categories baking, burgers, UncategorizedTags brioche, crayfish, supernormalLeave a comment on why don’t lobsters share?